"They don’t have the issue set that favors them," Kellyanne Conway says of Hillary Clinton's campaign. Donald Trump campaign manager Kellyanne Conway laced into David Plouffe on Tuesday, days after the former campaign adviser to Barack Obama called the GOP nominee a "psychopath." Responding to that comment and Hillary Clinton's speech tying Trump to white supremacists and the Ku Klux Klan last week, Conway had three words on Fox News Radio's "Kilmeade & Friends": "Shame on them." "I mean, the name-calling has reached a fever pitch and it just tells ya, they got nothin’. They got no game," Conway told host Brian Kilmeade, suggesting that if Clinton "were really strong on the issues" and if Plouffe "was that proud of his boss Barack Obama’s Obamacare, the Affordable Care Act, then he would go out there and he’d talk about that." Rather than calling Trump a "psychopath," a notion against which "Meet the Press" host Chuck Todd pushed back Sunday, Conway remarked that Plouffe would have said that Clinton's opponent "shouldn’t win, because Obamacare’s going so well, everybody’s so happy, United HealthCare and Aetna didn’t just realize billions of dollars in losses and pull out of 40-some exchanges." "They can’t. They don’t have the issue set that favors them" and thus they resort to name-calling, Conway said. "And I have to say, look, politics is not a tea party. It’s rough and tumble. We all get that, Brian. But to go out there and do guilt by association and to accuse people of having malice in their heart towards other people with no evidence, and then to do exactly what the American Psychological Association has asked people not to do, which is to, which is to certify somebody as mentally unfit or a psychopath. It’s just beyond the pale, and nobody calls them on it." Conway then thanked Kilmeade for calling out the issue, turning her ire to the media's recent coverage of Trump after he repeatedly proclaimed that Clinton is a "bigot" for her treatment of African-American and Hispanic voters. In an interview 'Off Message' podcast, longtime Clinton confidante Neera Tanden sounds off on Bernie Sanders' attacks, the 2016 election coverage and Vladimir Putin. Neera Tanden still feels the Bern, and — to her chagrin — so does Hillary Clinton. Tanden, a longtime Clinton confidante and influential policy-politics-communications adviser, likes Sanders, respects his people (after dutifully detesting them in the primary) and helped broker the progressive policy deal that led to Bernie Sanders’ early summer surrender. But even now, a month after the Vermont senator pledged his sincere if grumpy Philly fealty to the nominee, Tanden frets that the attacks Sanders made on Clinton during the primary have done irreparable damage by eroding trust and feeding Donald Trump’s Crooked Hillary crusade. “I actually have to say, I think he brought a lot of really important issues to the floor, but Sen. Sanders was prosecuting a much tougher character attack” than Barack Obama waged in 2008, Tanden told me last week during an hourlong sit-down MARCA POLíTICA “Off Message” podcast. Tanden, who succeeded Clinton campaign chairman John Podesta at the helm of the liberal think tank Center for American Progress, has spent the better part of two decades at Clinton’s side — first as a White House aide, then as a top staffer in her Senate office, later as policy director of the 2008 campaign and now as a powerful outside adviser who will play a central role in the transition, if there is one. But the 45-year-old Massachusetts native is more than that: She’s Clinton’s edgy public alter ego, whose stiletto-elbowed Twitter presence is said to closely echo the candidate’s own caustic private musings. And while Tanden respects Sanders and his staff (she helped negotiate the joint Clinton-Sanders college and health proposals and says “they were great”), she echoes Clinton’s own opinion that Sanders let the primary go on too long, too noisily and too nastily. What she doesn’t mind, as one of the most progressive voices in Clinton’s inner circle, was the leftward-pushing impact of the Sanders candidacy overall, which allowed her former (and perhaps future) boss to public embrace a more outwardly liberal agenda. Tanden has always played that role internally: Like many of Clinton’s East Wing advisers (led by Clinton’s then-chief of staff Melanne Verveer) she opposed Bill Clinton’s welfare reform measure. Tanden’s power in Hillaryland had always emanated from the wonk bond she developed with Clinton in the 1990s when the first lady favored headbands and Tanden was a star-struck 20-something Yale Law grad. Over the years, Clinton has, undeniably, tried to have it both ways when it comes to party ideology, portraying herself in 2008 as a responsible, middle-of-the-road Clintonian pragmatist, while suggesting she was always a behind-the-scenes liberal spur during this year’s battle against the socialist Sanders. Tanden bearhugs the Prog Princess narrative. President Bill Clinton’s aides would “play hide the ball from Hillary” on issues ranging from guns to trade to keep her from messing with their centrist schemes, she said. And when I mentioned former British Prime Minister Tony Blair recently told me that Clinton was the West’s last, best hope for centrist common sense, Tanden rolled her eyes. “I don't really think Tony Blair has the adequate sense of Hillary's views on every issue,” she quipped. Another Republican member of the Electoral College wavers in his commitment to back the GOP nominee. Firefighter Christopher Suprun, an Electoral College member from Texas, is warning he might not cast his electoral vote for the GOP standard-bearer. Chris Suprun is a member of the Electoral College from Texas, a state the GOP can reliably count on to deliver votes every four years to the Republican presidential nominee. But this year, with Donald Trump sitting atop the ticket, Suprun is warning he might not cast his electoral vote for the GOP standard-bearer. Indeed, he won’t rule out throwing his vote to Democratic nominee Hillary Clinton if Trump doesn’t moderate his demeanor. It’s a startling admission two months before an election, and another sign of the lingering discomfort among Republicans with Trump’s candidacy. Another Republican Texas elector, Art Sisneros, told MARCA POLITICA last month that he had initially considered casting a ballot for someone other than Trump, part of a larger plan to sow chaos, but decided against it when other collaborators failed to earn spots in the Electoral College. And when a Georgia Republican elector, Baoky Vu, told a local reporter that he might consider a write-in candidate rather than backing Trump, he quickly resigned his post. Vu later told MARCA POLITICA that he had intended to highlight the existence of the Electoral College as a “safety valve” against candidates like Trump. The Electoral College, the constitutional body conceived by America’s founders as a check on voters, meets five weeks after Election Day to cast the formal ballots for president and vice president. States send one elector from each congressional district and two representing the state at large. Though it originally played an outsize role in the process, it’s long since morphed into a glorified perch for party regulars, donors and insiders to ratify the results delivered by voters. In fact, 29 states have laws forbidding electors from bucking the will of their voters, according to FairVote. The downcast former British prime minister — and close friend of the Clintons — fears that their shared brand of centrism may be dead. Tony Blair isn’t sure the center can hold — hell, he isn’t even certain that centrists like Hillary Clinton or himself have a viable future in Western politics. “It’s a very open question whether the type of politics I represent really has had its day or not,” said the 63-year-old former Labour prime minister, speaking on Monday. “There were times when I was growing up in politics and when I was prime minister when I had complete confidence in my own ability, just as a professional, to predict the course of politics. The last few years have caused me to question [that],” he added — referring to the rise of hard-left upstarts Jeremy Corbyn in the U.K. and Bernie Sanders in the U.S. This is not the boyish, optimistic “Bambi” who walked, doe-eyed, into No. 10 Downing St. 19 years ago — a polished politician whose popularity reached an astounding 93 percent after he anointed the late Diana the “People’s Princess.” The past few years have been trying times for a deft maestro of the middle, a man who dominated British politics from 1997 to 2007 — but crashed after joining in lockstep with George W. Bush to advocate the invasion of Iraq. The past six months in particular have brought four shocks that undermine Blair's legacy and agenda: the rise of the crusty Corbyn to the apex of a militantly leftist Labour, a Brexit vote he viewed as a disaster, a scathing parliamentary commission report that faulted his presentation of unsubstantiated intelligence as a justification for attacking Iraq — and the rise of Donald Trump, which he views as a global harbinger of something sinister. In a frank, at times self-scouring 40-minute conversation, Blair questioned the political viability of the pragmatic approach to politics that propelled him to power with Bill Clinton in the 1990s, a trans-Atlantic partnership whose depth (and shallowness) was recently revealed in a series of phone call transcripts showing the two swapping political advice, serious consultation about Vladimir Putin and jokes about bananas. But he also singled out Hillary Clinton — who has positioned herself as a stout progressive in the Sanders mold — as the last, best hope for centrism at a time when it is beset by extremists on both sides, egged on by social media he believes has had a “revolutionary” impact on politics, and not in a good way. Blair said he remains in communication with both Clintons. He provided then-Secretary of State Hillary Clinton with inside intel on his conversations with Mideast leaders when he served as an envoy to the region — and reportedly sought her help in securing a top job at the European Union. More often the exchanges have been less formal, and Blair told me they have talked, from time to time, about how to survive politically during the present era of “protest” politics. The Republican nominee strays from the teleprompter as he makes a passionate case for his candidacy. Donald Trump, after several straight days delivering a more scripted message, loosened the rhetorical shackles tightened by his new campaign manager and went off-script several times Wednesday afternoon, offering a more passionate but at times self-contradicting case for his candidacy. The Republican nominee, still struggling to right his campaign after a prolonged dip in the polls, touted the same divisive policy ideas while promising an “end to the era of division.” He hailed himself as a political outsider, citing his decades as an insider who used his money to buy power. And he offered voters a black-and-white choice between the abject dystopia to come in a Clinton presidency or the problem-free paradise he vowed to easily restore. "If I don't win, it will be worse than ever before,” he told supporters at a Tampa rally. “But if I win, we're going to turn it around and it will be a beautiful thing." Trump made the same overt appeals to Hispanics and blacks, constituencies that appear to have broadly written him off, as he first did last week. But he again based his sales pitch on a patronizing portrayal of black and Hispanic communities heavy on hyperbole and stereotypes. The New Zealand media have warned of a “British Invasion” after government data revealed huge spikes in the number of queries from Britons in the wake of the Brexit vote. Typically the Immigration New Zealand website receives 3,000 registrations a month from British nationals interested in moving to, working or investing in New Zealand. What is it really like to live in New Zealand? But on the day of the Brexit referendum the website received 998 registrations from Britons, compared with 109 at the same time the year before. Anyone who registers will get regular updates and more detailed information on moving to New Zealand. In the 49 days following the Brexit vote more than 10,000 British nationals registered their interest – compared with 4,599 during the same period the year before. On Monday the New Zealand Herald ran a story on the increase on its front page, with an illustration declaring a “British invasion”. Prof John Morgan, a British expat and academic at the University of Auckland, said the current wave of interest in New Zealand reminded him of the “political refugees” from the 1980s who fled the Thatcher government. “New Zealand is really appealing for Brits because it’s a similar size and culture,” said Morgan. Neal Curtis, a media studies lecturer at the University of Auckland and another expat, said he emigrated to New Zealand to escape the Tories, but the country of British imaginations was a long way from the reality. “New Zealand still has a legacy as a colonial outpost, as a liberal, socially progressive oasis on the other side of the world,” said Curtis. According to Immigration New Zealand, in the year to June, 4,934 Britons were granted residency, 22,633 Britons were granted work visas and 1,176 Britons were granted student visas. One hurdle for Sarkozy beyond winning over right and centre-right sympathisers is his lasting unpopularity among the wider French population who still dislike his abrasive personality and his hard-to-shake-off label of “president of the rich”. He must also get around his lacklustre economic record in office – he promised to restore the values of work and reward, yet left France with many more unemployed – as well as judicial investigations into party financing relating to his 2012 presidential campaign, in which he denies any wrongdoing. Donald Trump is on track to lose in November and to refuse to accept the legitimacy of that Election Day result. That’s a problem not just for Hillary Clinton but for both political parties and the country. For everyone, really, other than Donald Trump. By hiring Breitbart News’ Steve Bannon, a media provocateur in his own image, and accepting the resignation of the man who was supposed to professionalize him, Trump is signaling the final 78 days of his presidential campaign will be guided by a staff that indulges his deeply held conspiracy theories and validates his hermetically sealed worldview. That includes his insistence that the only way he loses is in a “rigged” election. According to two long-time Trump associates, the notion of a fixed election isn’t just viewed as smart politics inside Trump Tower; it’s something the GOP nominee believes. Trump began to suggest that the election would be “fixed” last month, as Clinton opened a lead following July’s party conventions. “The only way we can lose, in my opinion — I really mean this, Pennsylvania — is if cheating goes on,” Trump said at a rally in Altoona. Days earlier in Wilmington, North Carolina, he’d warned that without stronger voter identification laws people would be “voting 15 times for Hillary.” The first image of a Trump campaign ad, released on Friday, is that of a polling place as a narrator alleges “the system” is “rigged”; and his campaign has already begun recruiting volunteers to monitor polling places, specifically in urban precincts where African-American voters, very few of whom support Trump, predominate. Donald Trump’s campaign chairman thought he could weather the scrutiny of his lucrative foreign political consulting. He was wrong. Earlier this month, Paul Manafort met with Donald Trump and suggested that they put in place a succession plan for the upper ranks of the Republican nominee’s flailing presidential campaign, according to three campaign sources with direct knowledge of the events that led to Manafort’s resignation on Friday morning as campaign chairman. Trump was in the midst of a string of self-inflicted controversies that were starting to resonate in polls showing him slipping further behind Democratic rival Hillary Clinton, and Manafort warned his boss that things were about to get worse. The stories, Manafort argued to Trump, were being coordinated by Clinton’s allies, and they were going to continue for the remainder of the election cycle as long as Manafort remained at the helm. Although Manafort told associates that he thought he would be able to weather the controversy, his meeting with Trump nonetheless sparked internal discussions about changes to the campaign’s senior management structure. They included elevating pollster Kellyanne Conway, who had been brought onto the campaign last month, into a more senior role, and also officially bringing on Breitbart News chief Steve Bannon, who had been informally advising people around the campaign for months. Still, Manafort associates said, he hoped he could ride out the storm and remain with the campaign until the end. That’s despite what the associates characterize as Manafort’s growing frustration with Trump’s unwillingness to embrace advice for a more scripted, measured tone and a greater reliance on more traditional campaign tactics. But it quickly became clear that the controversies around Manafort’s Ukraine work were going to be even worse than he had anticipated. On Sunday night, The New York Times published the first of the stories that had Manafort worried — revealing that Ukrainian investigators were looking into a “secret ledger” that listed $12.7 million in cash payments earmarked for Manafort by the party of the deposed former Ukrainian President Viktor Yanukovych. A little more than two days later, in the wee hours of Wednesday morning, news broke that Trump was bringing on Conway as campaign manager and Bannon as the campaign’s chief executive, a newly created role for a conservative media firebrand with no previous campaign experience. Campaign sources publicly played down talk that the moves represented a shakeup or a demotion for Manafort, whom they said would remain on as campaign chairman. But behind the scenes, the campaign was bracing for the next round of damaging stories about his work in Ukraine. Sure enough, later that day, The Associated Press reported that Manafort and his longtime deputy Rick Gates (who had followed Manafort onto the Trump campaign) had in 2012 secretly steered $2.2 million to a pair of Washington lobbying firms to boost Yanukovych’s pro-Kremlin government in a manner intended to circumvent disclosure requirements. The story was followed in short order by a POLITICO investigation revealing that Manafort and Gates — working with a former Russian army linguist allegedly linked to the country’s intelligence service — had continued through late last year to advise the Russia-friendly Ukrainian party that arose from the ashes of Yanukovych’s government. 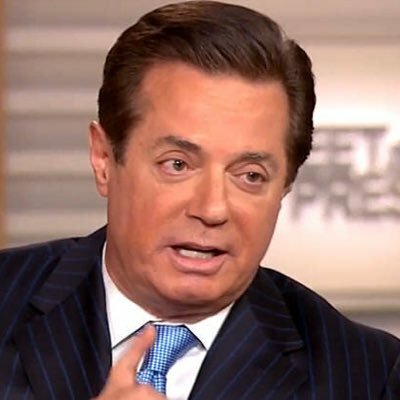 Manafort pushed back on the stories one by one, denying to the Times that he received the $12.7 million in cash, defending the legality of the lobbying arrangement exposed by the AP, and insisting to POLITICO that he “had no contract and did no business after [the] 2014 elections” in Ukraine. Donald Trump’s announcement of two new top campaign hands Wednesday stirred yet another round of private hand-wringing among Republicans in the Capitol. Sen. David Perdue (R-Ga.), a first-term senator whose outsider-businessman profile meshes well with that of Trump, said in an interview Wednesday that bringing Conway and Bannon on board is “indicative of what good campaigns do” to position themselves after a party convention and ahead of November. Greedy PACs drained the movement with endless pleas for money to support “conservative” causes and candidates. I worked for one of them. But Tea Party ideas live on. The Tea Party movement began building in the George W. Bush years. Profligate spending and foreign adventurism with no discernible results nurtured disgust with Washington’s habit of spending beyond it’s means and sending others to die in its wars. When President Obama made reorganizing the nation’s health care system his foremost priority—and repeatedly misrepresented its effects in the process—anger at Washington exploded. The excesses of George W. Bush and Barak Obama created the “second” Tea Party—named after the 1773 anti-tax revolt incited by Boston colonials—in 2009, when CNBC’s Rick Santelli extolled the virtues of reining in runaway government and touched a raw nerve. The Tea Party critique of government—the way it has grown, concerned with itself and its vested interests, and benefits the governed as only an afterthought—has never been more cogent. At its best, the Tea Party sought a return to the nation’s philosophical roots of government of the people, by the people and for the people. In sad irony, the Tea Party was hijacked by those who mirrored its critique of government: bloated, inefficient and looking out only for themselves. Donald Trump is running a top-notch campaign — just not to be president. Donald Trump is running a top-notch campaign to be a conservative media celebrity. Unfortunately for him, and especially for the Republican Party, this isn’t the same thing as running a good, or even minimally competent, campaign for president. From the beginning, Trump has been the candidate by and for the Entertainment Right, the talk-radio hosts, cable personalities and authors who recognize in Trump their own combative style and find it irresistible. Trump’s campaign has hewed closely to the rules for 21st-century media provocateurs: Always be inflammatory and never apologize. Wear the media’s outrage as a badge of honor and attack your critics twice as hard. Repeat as necessary. Trump didn’t learn these rules climbing the best-seller charts with polemical books or garnering A.M. radio ratings, but in the world of New York real estate. His dirtball mentor Roy Cohn, the late Joe McCarthy aide turned New York power lawyer, taught him to always stay on the attack and never back down. It was Trump’s discovery that, in the right conditions, the model was transferable to Republican primary politics. This isn’t an accurate representation of Jimmy the Greek’s fall nearly 30 years ago (CBS fired the football analyst almost immediately after his offensive musings about black athletes). But it is telling that this is how Trump remembers it. If only poor Jimmy hadn’t been such a weak loser, he might have survived his racially insensitive remarks, and—who knows?—maybe been bigger than ever! Trump’s refusal ever to apologize takes away one way to defuse controversies, and perhaps demonstrate some humanity and humility in the process. So his only options are to double down or try to evade what he said, forcing his defenders to repeat wholly implausible spin (and Rudy Giuliani, Newt Gingrich and Co. usually dutifully comply). Believers in the Trump “pivot” are constantly disappointed for a simple reason. Like a good entertainer, Trump always tries to keep his audiences engaged and amused. He doesn’t want to bore them or himself. His campaign is a kind of performance art in which entertainment value is more important than basic political considerations. While journalists and political strategists are appalled by the distractions, Trump probably looks at things differently. Whenever one of his controversies generates a tsunami of media coverage, he may chafe at how “unfairly” he’s being treated, but part of him must be delighted as a child on Christmas morning at all the coverage. This is how he is wired. After the past week, Trump must have trouble resisting the thought, “I’ve been the lead story in The New York Times five out of the last seven days—it can't be that bad, right?" After his wife’s introduction to the country was spoiled at the Republican convention, Trump tweeted, "Good news is Melania’s speech got more publicity than any in the history of politics especially if you believe that all press is good press!” And that has, across four decades in the media capital of the world, always been one of Trump’s profoundest beliefs. Republicans have been especially susceptible to the phenomenon of people running for president to enhance their media careers. Mike Huckabee had the most success at this, surprising on the upside in 2008 and landing his Fox News show afterward. In 2012, Newt Gingrich existed somewhere on the border between serious candidate and publicist for future book and movie projects. In his shocking victory in South Carolina, fueled by his defiance of the media despite his manifest weakness as a candidate by traditional measures, Gingrich came closest to foreshadowing the Trump phenomenon. Of course, there’s nothing wrong with a media skills, a deft sense of political theater or boldness. But Trump is pushing the limits of the media-centric candidacy. His media enablers apparently don’t realize that just because someone rates, that doesn’t make him a good presidential candidate; just because someone has an intense following, doesn’t mean he’s appealing to a majority of people; just because someone is hated by the media, it doesn’t mean he’s a conservative. Trump’s media fans will invariably give him advice to attack Hillary Clinton more (certainly sound counsel), but they will never tell him to tone it down. The fact is that Trump isn’t necessarily losing on the issues; he’s losing on demeanor. In the latest Washington Post/ABC News poll, Trump is roughly even with Hillary on handling the economy and terrorism, major issues, yet he trails badly on every presidential attribute. So it’s not just a matter of Trump being more focused. e needs to be more dignified, more careful, more respectful and more knowledgable—in other words, a presidential candidate, not a media celebrity. He is currently on a path to defeat, although if his standard is different, this may not matter so much to him. In terms of media attention, Trump’s campaign has been, and will continue to be, a runaway success. In his bizarre, rambling news conference after his convention speech, Trump bragged about how many Time magazine covers he has had in the past year. There have been reports that Trump is considering starting his own TV network after the election. And why not? By November, one way or the other, win or lose, he will be more famous than ever. The cycle of violence between police and their communities shows no sign of ending. Last month,, police officers were shot to death in Dallas and Baton Rouge, apparently by perpetrators bent on vengeance of some sort for the killings of African-Americans. Now, in the wake of the shooting death of an unarmed teenager named Paul O’Neal in Chicago on July 28, street gangs in that city are reportedly planning to retaliate against police. As a result, around the country some police officials are coming to realize they must make a better effort to reach out to their communities, just as some advocates of victims are seeking a better dialogue and greater understanding with police. The first time I heard the name Michael Bell was in 2005, when the Wisconsin Professional Police Association (WPPA)—the state’s largest law enforcement group, of which I’m executive director—planned to give awards to officers in the city of Kenosha for actions that resulted in the death of a 21-year-old male suspect on Nov. 9, 2004. The man had struggled with alcohol addiction since his early teens, and despite having a court appearance the following morning on a felony charge of marijuana possession and several misdemeanors, and that he was free on bond on the condition that he not drink and drive, he had gone to a tavern that night with some friends. According to the officers at the scene, after unsuccessfully attempting to subdue the young man with a Taser, they were forced to shoot him when he grabbed one of the officer’s holstered gun. The young man’s name was Michael Bell. His father was Michael Bell Sr.
A businessman and retired Air Force lieutenant colonel, Bell placed full page ads in several national newspapers, including the Chicago Sun-Times and the New York Times, criticizing the WPPA for awarding the officers that had caused the death of his son, and raising for the first time the issue of whether police departments should be allowed to investigate themselves when it comes to use-of-force cases. While I was only working as a legislative lobbyist and staff attorney for the WPPA at the time, it was clear that the leadership of the organization was uneasy at the public attention. I knew that he Kenosha Police Department investigated the matter, quickly concluding that the officers’ actions were justified. Shortly thereafter, the local district attorney did the same. In the announcement of his decision, the DA said people “do not have the right to fight with a cop. Nobody does.” Following these determinations and on the basis of the facts considered by the authorities, the WPPA’s awards committee of officers from around Wisconsin concluded that it would recognize the Kenosha officers at its annual convention in May of 2005. After my son, Michael, was killed by a police officer, I resisted the urge to rush to judgment and waited until the facts came in, before concluding whether the officer had used excessive force. Michael’s mother and sister had witnessed him being held down by an officer, hands cuffed behind his back, and hearing an officer scream “He has my gun!” Another officer immediately drew his weapon, placed the barrel directly against my son’s temple, and pulled the trigger, taking Michael’s life. As a United States Air Force pilot, I expected a National Transportation Safety Board-type of investigation of my son’s death. Instead, the local police department cleared itself of wrongdoing within 48 hours. Two weeks later, a district attorney, who refused to give our family an inquest, ruled the shooting justified. I reached out to state and federal officials but was simply ignored. Then the state’s largest police union gave the three officers involved in my son’s death meritorious service awards. Recognizing that the traditional justice system had locked down in support of police officers and failed us, I had to resort to press/radio ads, TV commercials and highway billboards to call attention to a system that investigated itself. After our city and I reached a $1.75 million settlement in a federal civil rights lawsuit, we brought awareness to the death of a Vietnam vet killed over a dispute involving fireworks, a young black male who suffocated in the back seat of a squad car and a white musician who inadvertently entered the wrong side of his duplex and was shot by police. But I knew the only way to really change things was to change the law and create a body that would independently investigate police violence. If you think changing state law is easy, think again. It’s next to impossible, especially in regards to law enforcement. In the next few years that followed, I was generally aware that Bell had continued to push the case of his son. For example, the Wisconsin attorney general rebuffed his request to review the matter, stating that she lacked the authority to do so. With few other options, Bell sued the City of Kenosha over the death of his son, and in 2010, that suit was settled for $1.7 million, which was a significant sum for cases of this type in Wisconsin. Armed with new resources, Bell began a billboard campaign to publicly raise the question again: “When police kill, should they judge themselves?” The provocative ads appeared to inspire greater attention than his newspaper ads from five years before, though they seemed relatively sporadic and predominantly concentrated n Milwaukee. That attention grew considerably when, in 2012, Bell launched dozens of billboards in Milwaukee over the controversial death of a black man in police custody. The squad’s video of the man as he expired in the back of a squad car was played again and again by the media, and seemed to find a place within a larger narrative emerging on the national stage. Still, considering that Wisconsin had just come out of a contentious and historic two-year period brought about by an attack on the state’s collective bargaining laws, substantial reductions in the amount of state aid distributed to our cities, and an unsuccessful effort to recall the governor, the Milwaukee-targeted ads did not yet appear to generate prevalent statewide attention. That changed when an officer with the Madison Police Department shot and killed a man by the name of Paul Heenan during a confrontation on November 9, 2012, when Heenan was said to have advanced on the officer who shot him, attempting to seize his drawn gun. The similarities of Heenan’s death and that of Michael Bell’s son seemed numerous. As reported in the media, both had histories of struggling with alcohol, both were intoxicated on the night of their deaths, and both were “unarmed” until it was determined that they moved aggressively toward police in such a way as to justify law enforcement’s use of deadly force. Additionally, both were white. By this time, I had become the WPPA’s executive director. Among other changes, we launched a strategic public relations effort to expand our ability to communicate, educate and engage the media and general public. At the time of Paul Heenan’s tragic death, the WPPA had already begun formulating plans to better gauge public sentiment on law enforcement issues through the use of scientific polling—something that, even today, no other police group conducts on a consistent basis. Almost immediately after the shooting of Heenan, Bell expanded his campaign to include not only billboards throughout the Madison area, but television and newspapers ads as well. Some of Bell’s new billboards used new messages, such as “Bad cops stain good cops,” which I and many local officers found offensive for inappropriately insinuating that an officer under investigation was a “bad cop.” Nonetheless, the Bell campaign garnered the widespread attention of the local media. Then, in December of 2012, Michael Bell reached out to me. Our actual first meeting occurred in January of 2013, just months after a fatal shooting by the Madison Police Department. And it only happened because I barged into his office. I had leased billboards on major highways calling out police for investigating themselves. As you can imagine, law enforcement wasn’t keen about it. I had sent an email request to meet with the executive director of the Wisconsin Professional Police Association to discuss how we might improve the post-shooting investigation process. He was in no way amused and made it clear that he would not meet with me under those conditions. Our email exchange was contentious to say the least. The door was closed because we both refused to back down. Several weeks later, while I was in Madison and driving past the WPPA headquarters, one of our team members laughingly suggested that I stop in and say hello. In my mind I thought NO WAY, but I remembered the words of General George S. Patton, “Audacity, audacity, always audacity.” So I went inside and asked for an impromptu meeting with James Palmer III. To my surprise and I am sure his, Jim invited me into his office. We ended up talking for an hour. After some introductions, I discussed how aviation mishaps were handled by the NTSB and that if police fatal shootings were investigated in similar fashion, both the community and police would benefit. He seemed to be intrigued by my logic, but made it clear that as long as the billboards were up, the conversation would go no further. After several argumentative days, we reached our first compromise. The billboards would remain up for several more days, but more importantly, I would not renew their lease, thereby effectively ending the campaign. He in turn would help me craft the legislation I sought. Our first chore was building a level of trust. We set the ground rules for how we would handle our disclosures/discoveries. There would be no secret recording of our conversations, no running to the media with discrediting information, no grandstanding and no tearing down. During this phase we talked about our families, our sons and that his brother also was a USAF officer. At some level I think he felt what it must be like to lose a child. I recognized his deep respect for those who wear the blue uniform. Over the next several months, we sat together in the WPPA conference room and crafted a bill. He shared with me the inner workings of legislation and law enforcement. I shared with him my aviator’s perspective on how pilots keep a jet from crashing, and how accidents were investigated when they do. To my amazement, we drafted a joint news release stating that the WPPA and the father of a man killed by a policeman were working together to craft legislation. At times our language was direct, and I recall that we both candidly expressed our ire with the other. He was frustrated about the fact that the WPPA has awarded the officers that killed his son, and I was frustrated that he was using his campaign to encourage the destructive rush to judgment in cases of law enforcement’s use of force. Neither of us held back, and we still have passionate exchanges on these matters today. Eventually, Bell raised the notion of the two of us meeting in person to begin a broadened conversation. I expressed a willingness to do so, but I also made clear that I would not agree to a meeting “at the tip of a spear” while his billboards remained. Not knowing me at all, he was understandably resistant at first. Would I agree to meetings in order to stall his campaign, only to then blow him off? He couldn’t be sure. Likewise, could I agree to examine and explore issues with him without concern that he might publicly distort my positions? I didn’t know. Shortly after our email exchange, Bell made an unannounced and unexpected visit to my office. While I’m not one to turn down an opportunity to meet with anyone and have a discussion, I’m not a fan of insolence. Nonetheless, I received Bell and we discussed briefly how we might be able to come together and engage in a broad discourse in earnest. Not long after that meeting, Bell decided not to extend his billboard campaign as he had originally planned. To his credit, the billboards came down, as did the impediment to our ability to begin a dialogue. Though I was incredibly disappointed that the billboards didn’t garner as much attention when they came down as when they went up, I was prepared to fulfill my part of the bargain. At our first meeting, Bell and I set about to establish some basic ground rules designed to build a foundation of trust. We both recognized that we would gain very little if one of us resorted to grandstanding, or if we couldn’t be candid with one another. But perhaps the most important achievement made in that meeting was that we first met as fathers. I began the meeting by openly talking about my own family, the fact that I had sons of my own, and that I couldn’t begin to fathom his loss. In that moment, and for the purpose of our ongoing dialogue, our views regarding the incident that resulted in the tragic death of his son were irrelevant. Like me, he was a father, and we spent much of that first meeting talking as one father to another about that inherent and mutual bond. In the months that followed, we discussed a plethora of ideas for potential reform, some of which were very basic, while others were more convoluted. Though Bell has shared his belief with me that I backed away from him at some of these meetings, I don’t remember it that way. Nonetheless, it is true that there were some within law enforcement who were skeptical of my aims, and those who questioned why I would grant Bell an audience at all in light of some of his allegations. Fortunately, those pressures were not posed by the board of directors that oversee my performance. In August of 2013, Republican state Representative Garey Bies introduced bipartisan legislation mandating the independent investigations of officer-involved deaths. Initially, all of the other law enforcement special interest groups, such as those that lobby on behalf of the chiefs and sheriffs in the state, and even the Wisconsin attorney general, opposed the measure. This opposition stemmed, in part, from the fact that the bill contained other provisions that would not have passed constitutional muster, but also because they felt there was no need to change how these sensitive situations are investigated. Additionally, there was much discussion among the law enforcement groups about whether this law would unnecessarily bind the hands of departments that already had personnel with the expertise and experience to conduct these independent reviews. By contrast, the WPPA offered a different, more constructive response to the legislation. Whenever and wherever I could, I expressed the view that, as the state’s largest law enforcement group, the WPPA felt an obligation to maintain an open mind and explore whether improvements could be made. Of course, there was some backsliding. Other police shootings occurred in the state, and for whatever reason, Jim cancelled meetings. On occasion, I would tell him how close I came to buying additional advertising. Yet we always remained professional and never abandoned working together. Around this time, Jim pulled away (I think he was getting massive heat from his board or the other unions) and our team pursued legislators to sponsor the legislation we crafted. I was blessed to meet Rep. Garey Bies, a Republican, U.S. Navy veteran and a retired chief deputy sheriff. Having a retired law enforcement professional leading the legislative charge was a tremendous boost to its credibility. On the other side of the aisle, we were able to work with Rep. Chris Taylor, a Democrat in whose district the Heenan shooting occurred. An advocate suggested that local district attorneys, union officials and law enforcement personnel meet the families who lost loved ones from police action, but without the legislators. To my surprise, the Dane County Sheriff hosted the event and Jim Palmer and I sat side by side. The event was a success, clearly showing that law enforcement was serious about having dialogue with the community. Then came another setback. The head of the state House justice committee refused to allow the bill to be heard. Our only hope for saving it was to have it transferred to an alternative committee. State leaders would determine the bill’s fate by Friday noon. That morning, I made an agonizing decision (without my wife’s knowledge or approval) to purchase an expensive national ad in USA Today, notifying millions of readers that retired NYPD detective Frank Serpico—the subject of the famous movie starring Al Pacino—had endorsed the reforms we sought. I subsequently called the Wisconsin speaker of the Senate, speaker of the House and the governor’s office to politely give them a heads-up that a national ad was coming, and to let each know I was sending a copy for their files. Shortly after lunch, the bill was transferred to a friendlier committee and eventually was heard in a packed-house hearing. Our family and two others who had lost children, personally delivered copies of USA TODAY to each office at the capitol. Jim says that the USA Today ad was a key moment because it gave the bill enough strength to have legs of its own. Other setbacks occurred. Two key bill items were stripped. Immediately, my team was up in arms. I had to calm the outrage, reminding everyone that what remained in the bill was still a large step forward. I knew, deep in my pilot’s heart, that changing the focus of an investigation from “Who is right or wrong?” to “How did it happen and what could we do to prevent it from happening again?” was critical to both sides—citizens and police officers. One of the bill’s most important features remained—external investigation (very similar to the NTSB investigation model). I openly expressed the view, in both public forums and private settings with some of the interested parties, that it was simply untenable for law enforcement to oppose everything in the bill. We needed to find something that we could be for, and thus become part of the driving force behind any reform. The WPPA strongly and aggressively supported the independent investigations bill, recognizing that this measure of accountability would help build credibility and trust in the officers who police our streets. Ultimately, to their credit, every law enforcement organization in the state came to support the bill as well. As part of our efforts to support this legislation’s passage, the WPPA initiated its first statewide polling effort in 2014. Conducted by the St. Norbert College Strategic Research Institute, the object of the poll was to assess the public’s views on host of law enforcement and public safety-related issues. Included in this poll were multiple questions to gauge the public sentiment toward the independent investigations legislation. Our poll revealed an incredible amount of public support for the initiative, with more than 80 percent of the poll’s respondents favoring it. In the waning days of the legislative session, I promoted these results in every media market in the state, meeting with as many newspaper editorial boards as I could. I shared these results widely with the Legislature as well and met with lawmakers of both parties to gain its passage. To this day, I credit those poll results and the way in we touted them as key to the bill’s eventual success. The poll served to reinforce the WPPA’s position with its members who were supportive, soften the opposition of those within law enforcement and otherwise, and motivate our state’s elected leaders from both parties to break with what had become a tradition of discord and derision inside our State Capitol. At the same time, Bell broadly ran ads to draw even more attention to this importance of the bill. Eventually, through the combined efforts of law enforcement groups and citizen advocates alike, Wisconsin’s independent investigations bill was signed into law in April of 2014. Since then, it has worked very well. The law requires objectivity and transparency, and it has benefited both the public and law enforcement alike. While the success of our law is appropriately shared by many, a strong argument can be made that without Michael Bell and the WPPA, this groundbreaking reform would not have been possible. I’m sure Michael will continue to push for additional reforms, and I and the WPPA will actively do the same. Going forward, we have already identified areas of some common agreement, such as the need for more states to formally require the independent investigation of officer-involved deaths, expanding law enforcement’s use of body cameras, and the need for more data on how law enforcement interacts with the public. Neither of us suffers from the misperception that these initiatives represent a panacea to the problems confronting our country, but they are all constructive and meaningful steps that can be pursued in the short term. While Michael Bell and I both recognize the reality that there will be times when we disagree, we also appreciate the importance of a dialogue that is built upon a foundation of candor, empathy, trust and a willingness to find common ground. That foundation seems largely nonexistent today as this country finds itself caught in what appears to be a never-ending cycle dominated by sensational snap judgments and condemnations of blame that serve only to further divide us as Americans. The issues of policing and institutional racism are complex and deep, and the opposing views that exist on these matters are the byproducts of experiences that are real and unique. Only when we acknowledge the pain on the other side can we truly begin to heal as one nation. Whether that is possible in the hyperpoliticized environment of a presidential election cycle remains to be seen, but I for one, am optimistic. I want to believe that we possess the ability to set our differences aside. Before the law was signed, legislators told me that Jim had been in their offices several times. I later learned that he had to go to practically every legislator’s office and personally assure them that the WPPA supported this bill. Lawmakers were petrified at the idea they might be tagged as anti-law enforcement by supporting this type of reform. Jim had to work just as hard as I to insure the bill’s success. Knowing what I know now, I’m convinced that this bill would have never been signed if it wasn’t for law enforcement. We were so fortunate to have some of the nation’s forward-thinking people in key positions. The bill went to the floor and was unanimously passed by the House, followed by the Senate and signed into law on April 23, 2014. At the governor’s signing, families who lost members to police action, legislators and the leaders of five police unions stood side by side in the background to applaud. It was a healing moment for many and a step forward for the nation. Moving forward, the gains made in Wisconsin could easily be duplicated elsewhere—in Louisiana, Missouri and Minnesota, in Texas and Illinois—if just one leader in a police union had the audacity to listen to what the public was asking. A simple advance in technology, the cellphone camera, has brought the historic problem of police investigating police to light as a national crisis. In our small way, Jim Palmer and I delivered at least a partial solution to the mistrust of policy in communities across America. Even though we still sometimes have vast differences in viewpoint, we set aside our egos, respected each other and worked for the greater good of the whole. The bill we put together is an essential starting point for police departments that want to establish greater credibility within their community. It all happens when law enforcement decides to be part of the solution. Jim Palmer is the executive director of the Wisconsin Professional Police Association. Michael Bell is an activist and the father of a police shooting victim. "Have You No Sense of Decency, Mr. Trump?"